Document management solutions are critical to the success of today’s law firm. Legal specific document management eliminates the wild, wild west approach to document storage and security and significantly improves the efficiency and productivity of legal professionals. Selecting a document management system (DMS) can be daunting, but here are four simple steps to get you started on the path to selecting the perfect DMS for your firm or legal department. Understand the real needs of your firm before looking at a document management system. Does your firm have issues capturing emails? Are your challenges with finding documents? Are there difficulties with saving documents consistently and naming conventions? Truly recognizing the needs of your firm or department is the first step to understanding and selecting the features needed in a DMS. One document management solution will probably not provide you with EVERYTHING on your list. Ranking your requirements will help. Know what features are critical to your firm or department. Know which ones you’d like to have but could live without and which ones you definitely do not want or need. It may be necessary to trade off some features that mean little to your process in place of ones that cannot be compromised. Understand your choices when selecting the DMS configuration that’s best for your firm. With On-premise solutions, you’ll need to consider whether you have someone with the knowledge to set-up and maintain the system, plus hardware/software costs and specialized manpower for maintenance. For hosted solutions, you’ll need to consider recurring costs (usually monthly, quarterly, or annually) to maintain servers and warehouse your documents, understand your data will live elsewhere, and maintain a strong internet connection. Identify the choice that best meets your needs and budget. Document management solutions should enhance the work your firm is doing, not add more steps or additional challenges. By watching an actual demonstration and seeing how a document management system’s features are performed, you’ll be able to see which system will make your teams more productive and efficient. If a DMS says they can perform a critical function, ask them to show you how it’s done. Bryce is one of our team members who understands all the ways technology can help legal professionals. When Bryce first joined Affinity in 2011, he worked with our client service team, but a developing passion and skill working in-depth with clients on their issues led to him becoming a consultant just a year later. 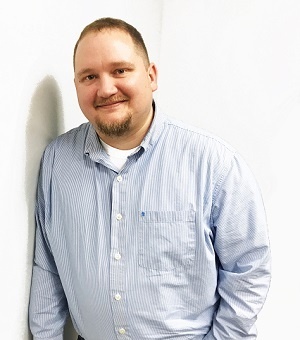 Today, Bryce is a senior consultant with our document management team. He enjoys the challenges every new project presents. His background working with all of our teams perfectly positions Bryce to leverage Affinity’s collective knowledge to ensure all of a clients’ technology systems work together in the best possible way – even if their function is outside of Bryce’s specialization. Bryce also provides product support for Legal Anywhere, Symphony Suite and Copernic Desktop Search.